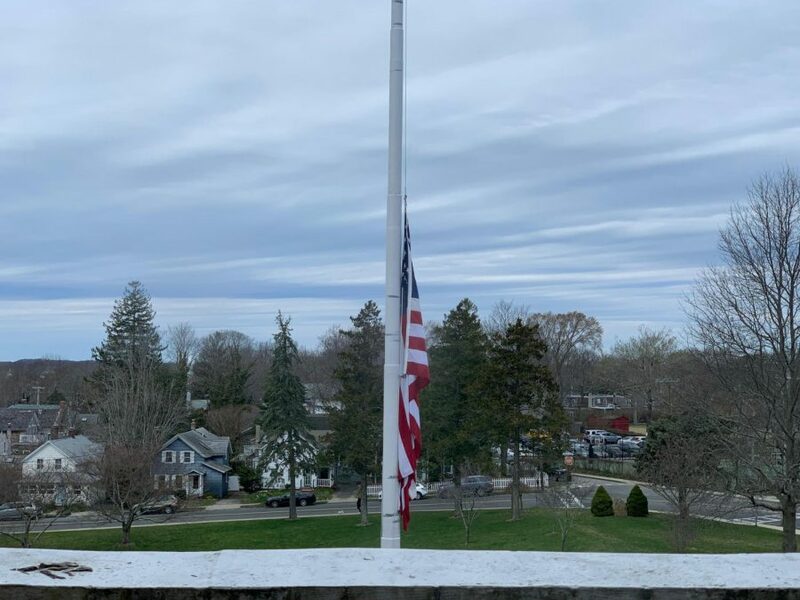 On April 8th, US flags in New York were lowered in honor of two Marine Corps members, Cpl. Robert A. Henderiks and Staff Sgt. Christopher K.A. Slutman, who was killed while serving in Afghanistan. The flags will be flown at half-staff until their internment in tribute to those men and their families. Both Cpl. Hendriks and Staff Sgt. Slutman were members of the 25th Regiment, 4th Marine Division Marine Corps Reserve. Staff Sgt. Slutman was 43 years old and a member of the FDNY for 15 years, he was stationed in the South Bronx when he was killed in Parwan Province, Afghanistan. Cpl. Hendriks was a 25-year-old Locust Valley resident also stationed at Ladder Company 23 in the South Bronx. They were killed in an explosive attack while conducting combat operations.